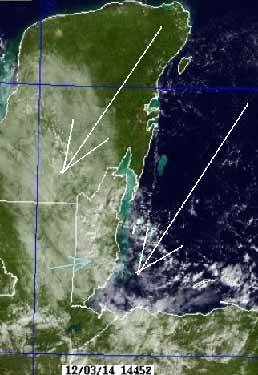 Belize NMS: Cool northerly airflow will become a bit more moist tonight and tomorrow. 24-hour forecast: Partly cloudy today with showers generally isolated. Cloudy spells tonight with a few showers mainly over the coast. 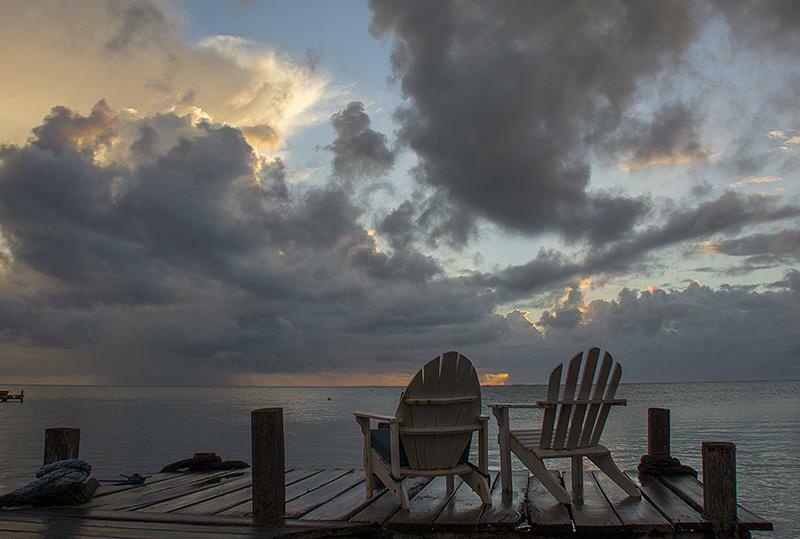 Today: Winds: N 5-15 kts; seas: Choppy; waves: 2-4 ft; generally isolated showers. Tomorrow: Winds: N-NE 5-15 kts; seas: Choppy; waves: 2-4 ft; a few showers. Marine Outlook: Winds: N-NE 5-15 kts; seas: Choppy; waves: 2-4 ft; a few showers. General Outlook: (Thur & Thur night) Cloudy at times with a few showers over most areas. So I expect today to start with rain and heavy cloud as it has, but to thin and largely clear during the morning with sun, some cloud, but probably no rain by this afternoon. On Ambergris Caye the internet is back up, the sun has broke through and the sea is dead calm. We have an expected high of 82. That cloud formed very rapidly over the sea to the east of Belize, then started to move rapidly down over Belize, but then the strong SW surface wind stalled it . . .Only got the sun in Belmopan around 15:30 this afternoon. . . . .Now the sky over Belize is almost clear, should be plenty of sun, but the sun has gone away from us. . . .So it will be a cold night. . . . .The indications are that there will be few clouds around on Thur morning, so yes the sun should be around. . .. Unless the weather forms another line like that over the sea again, early Thur morning.